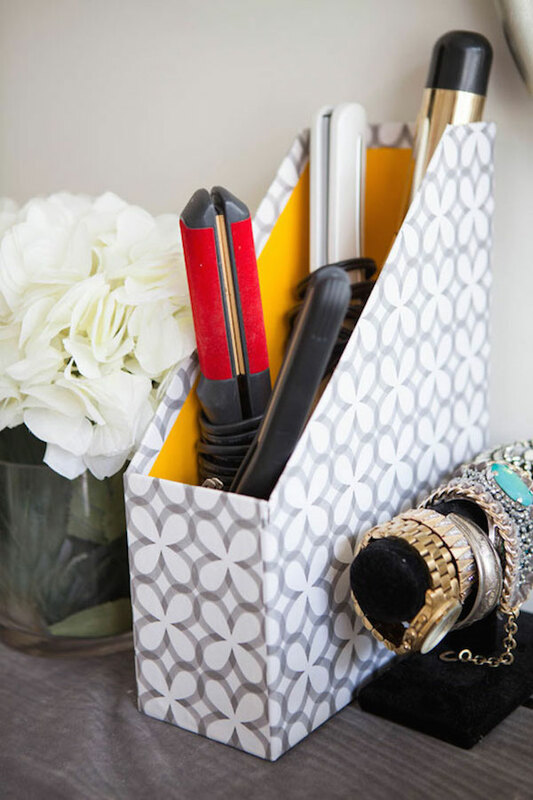 Are you a lover of all things tidy and organized? Me too! I enjoy keeping things in their place, but most of all, I enjoy creative and gorgeous ways of doing it. 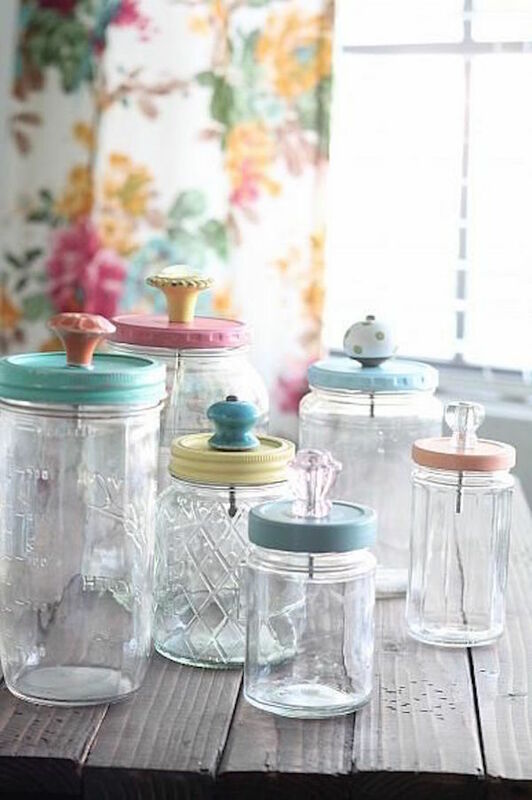 If you’re ready to update your living space a little bit, in need of decluttering, or need to repurpose some old items, consider these 13 gorgeous tidy tips and organization hacks! You leave wondering, why haven’t I ever thought of that? Happy organizing! Originally published May 2015. Updated September 2017. This is so smart! 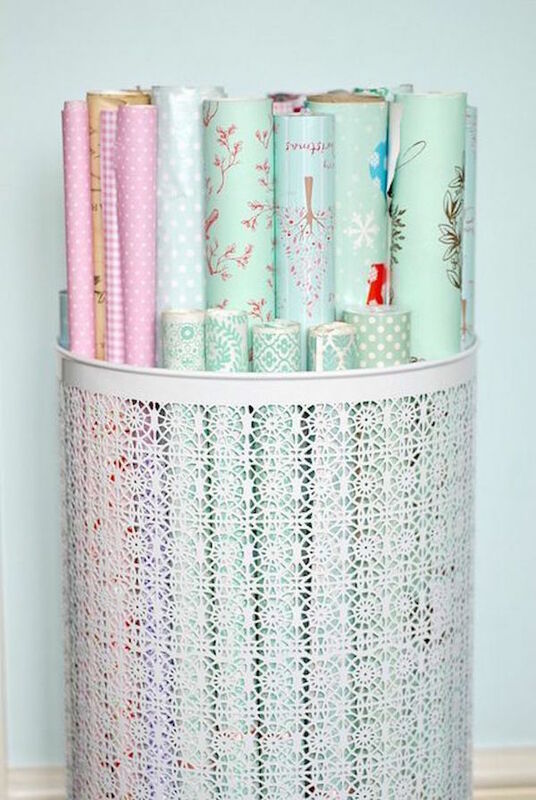 Use a decorative laundry basket to store wrapping paper! I’ve actually done this! 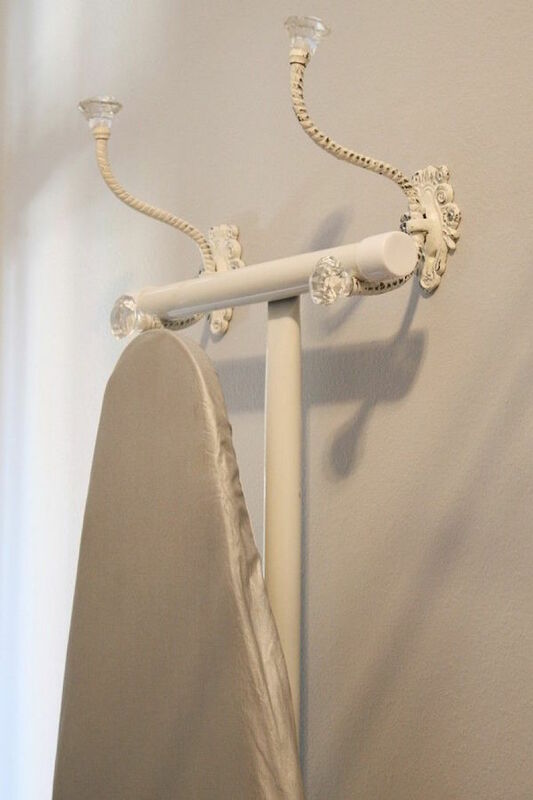 It is SUCH a cute decoration and it’s effective! 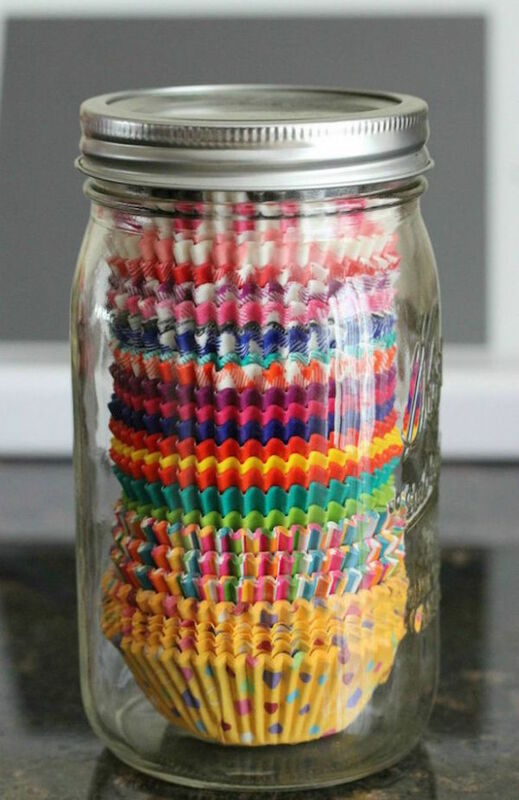 Use a clear mason jar to organize various cupcake liners. This is cute and effective! 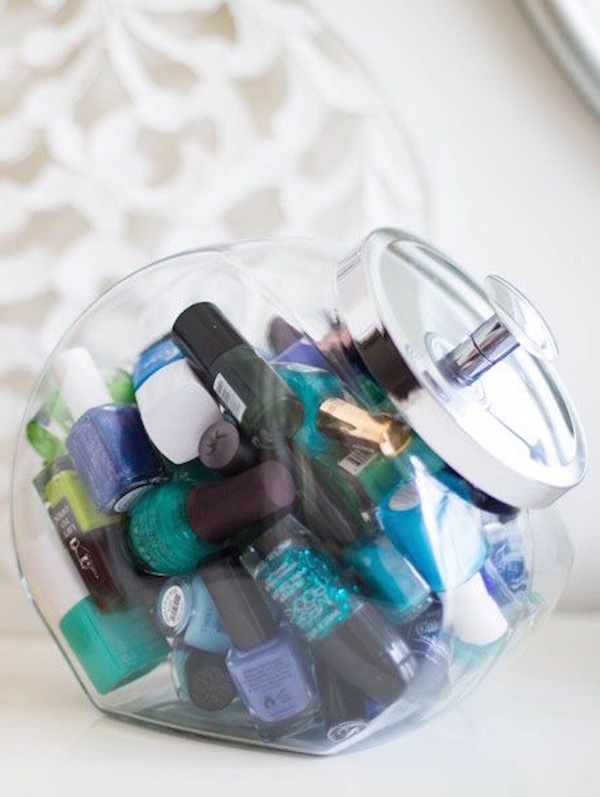 Use a clear cookie jar to organize nail polish. 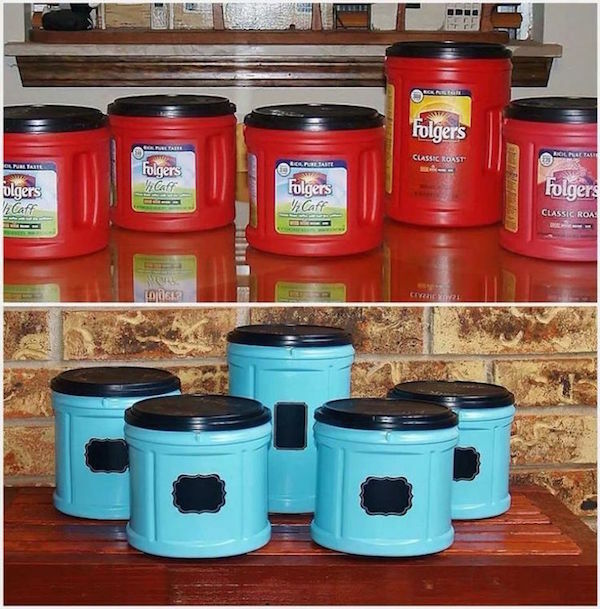 Use a little paint and some knobs to add a decorative touch to mason jars. So tidy and pretty! 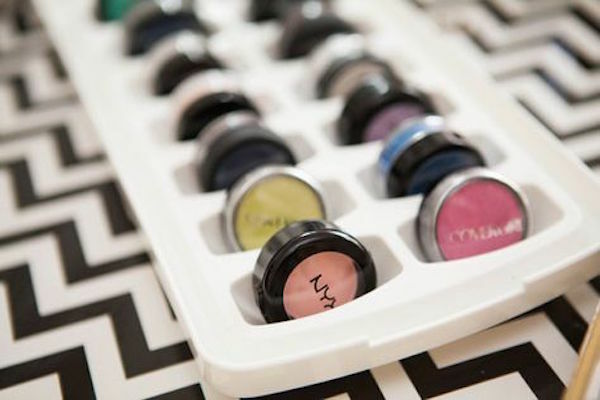 Bye bye messy makeup drawer! 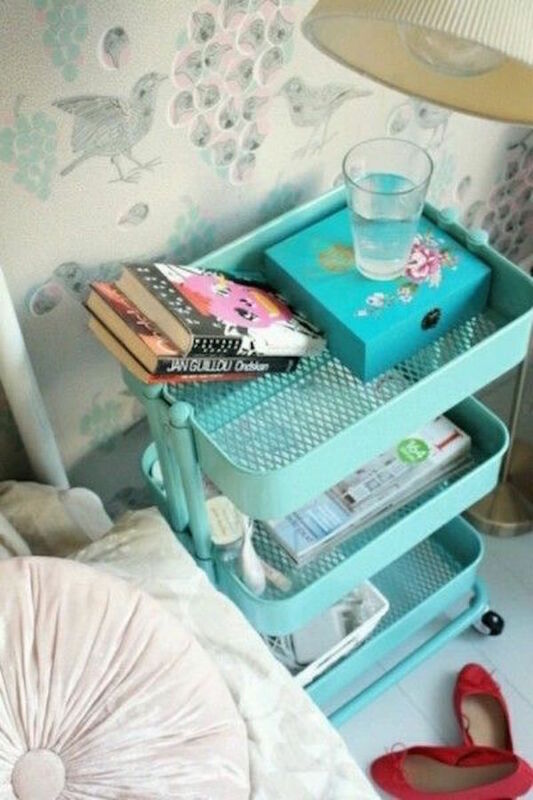 Great organization idea for small space living! 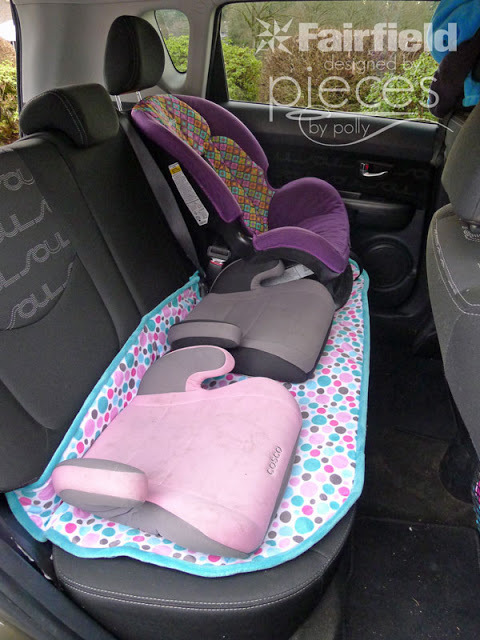 Back Seat Saver – Keep Your Car Seat Clean! Use this DIY life hack to tidy up your car and keep it clean. Love all these creative ideas. 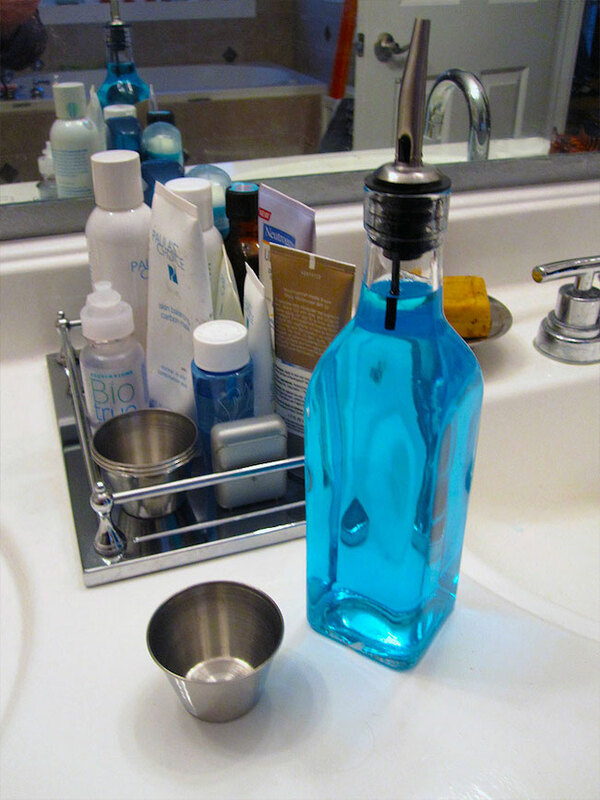 The mouthwash idea is really unique! amazing and tidy ideas. you are right, they are things we think if daily, but don’t put them to use unless we sit down and think…thank you! I like the idea of storing nail polish in a cookie jar. No need to dust every tiny piece every week any more 🙂 And it looks so fancy and beautiful. Thanks a lot for the idea. I love the idea for the wrapping paper. So much it can’t just be thrown up in the attic. It should be handy.